Is there a better alternative to Hidden Mysteries: Salem Secrets? Is Hidden Mysteries: Salem Secrets really the best app in Adventure category? Will Hidden Mysteries: Salem Secrets work good on macOS 10.13.4? 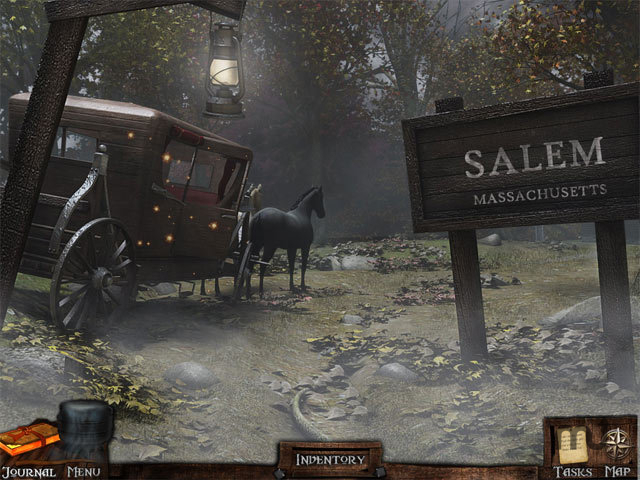 Hidden Mysteries: Salem Secrets…Help Constable Hawthorne investigate the rumors of witchcraft in Hidden Mysteries - Salem Secrets, a fun Hidden Object Puzzle Adventure game! Four young girls have been suffering from an outbreak of mysterious fits and bizarre tantrums. Rumors abound that the girls have been "afflicted" by local practitioners of Witchcraft, but nobody has yet been charged or tried. Investigate the scenes and uncover the Hidden Mysteries! Hidden Mysteries: Salem Secrets needs a review. Be the first to review this app and get the discussion started! Hidden Mysteries: Salem Secrets needs a rating. Be the first to rate this app and get the discussion started!